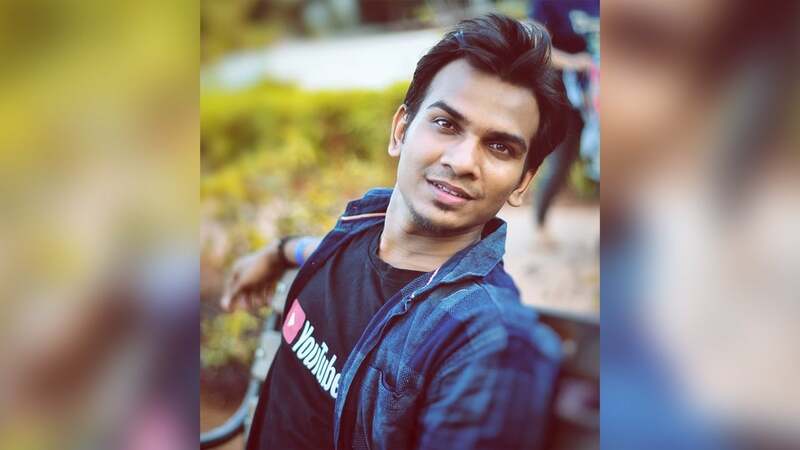 Satish Kushwaha is an Indian Youtuber, Vlogger, and a blogger. He was born on 27 September 1994 in Deoria, Uttar Pradesh. Satish Kushwaha is 24 years old (As of 2018). He runs a very popular Hindi Tech blog TechYukti.com and another one is SatishKushwaha.com. And he also runs 2 youtube channel which are Satish Kushwaha, Satish K Videos and he also works on TechYukti and Fitness Fighter. His self titled youtube channel that is Satish Kushwaha where he usually uploads comedy skits and vines has more than 150K plus subscribers. And another channel which is Satish K Videos where he usually uploads interviews is soon going to reach 100K subscribers. In 2016, he completed his graduation from Axis College Kanpur. After completing his graduation, he came to Mumbai on 28 June 2016 and started working there. When he came to Mumbai, he has 600 subscribers on his YouTube channel, and at that time he thought he will do work on YouTube as a full-time. In April 2016, he received his first income which was $125 which he earned from Adsense through his blog. Satish was about to leave youtube but his video titled “India vs Pakistan” went viral and that stopped him from leaving youtube. His other video that went viral was Jio Vs Airtel Vs Vodaphone video. He completed 1 lakh subscriber on his channel on 14 April 2018 and he received his silver play button in May 2018. Before he used to edit his video with Camtasia but after some time he moved to Adobe Premiere Software. When he started his YouTube channel, he used to shoot with Nikon D1500. But now he shoots in Canon 200D and he also uses Boya Mic to record the audio and shoots with the help of a tripod. He also shoots a motivational rap song that is “UP Ka Himmatwala” which is sung by Abby Viral. These were the latest information about Satish Kushwaha Biography, Age, Height, Weight, Earnings, Wiki, Girlfriend & More. Please do share guys this post with your friends and keep visit on NamesBiography.com for Indian celebrities biographical updates. You may share your experience or any kind of suggestion with us by leaving a quick comment below. Thank You! Satish Kushwaha sir is really a great he motivates everyone with his videos, I hope he achieves more success in future.